How To A Dalmatian Rescue Or Shelter Successfully " "
Adopting and supporting a Dalmatian rescue is a great thing, but sometimes instead of supporting a rescue, some dog owners need to surrender their dogs to them. Search the internet – a good idea is to search at the kennel club of your nation or your national club for Dalmatians. Once you find a Dalmatian rescue contact them. Step 2 – Interview the operator of the rescue. After you contact the rescue you need to interview the operator to find out what the rescue is all about. You will want to find out if the rescue is nonprofit or not. If nonprofit, find out how the rescue raises funds in order to stay in operation. You should also find out how long the rescue has existed, and how many dogs they have successfully placed. It’s a good idea to consider contacting some of the people who have adopted the Dalmatian rescue dogs. Will the rescue keep your dog until they can find him or her a good home? Will your dog be put in a foster home until adopted? How do they take care of emergency situations? Does the rescue pay their bills? What criteria must an adopter meet in order to adopt a dog? Does the rescue investigate the home of an adopter to make sure it is conducive to the rescued dog? Does the rescue require that the animal be returned if the adopter cannot keep the animal? Does the adopter sign a contract? Is there an adoption fee? How much? 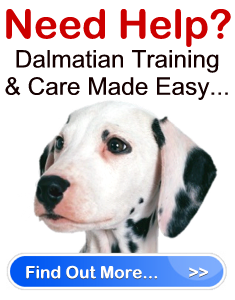 Understand that it may be harder to surrender your dog to a Dalmatian rescue than you think. The reason is because many rescues are overburdened and will only be able to take healthy or young dogs. Thus, if a rescue is unable to take your dog, ask them to refer you to another rescue that may be able to help. Finally, make sure you are honest with the Dalmatian rescue about the dog you are surrendering. Tell them why you are giving up your dog, how old he/she is, and let them know of any health or behavioral problems your dog may have. The more a rescue knows about your dog, the easier time they will have finding a good home for your dog.